I found myself telling my friends about the iPhone apps I use daily and I realized some of them had never heard about my favorites! 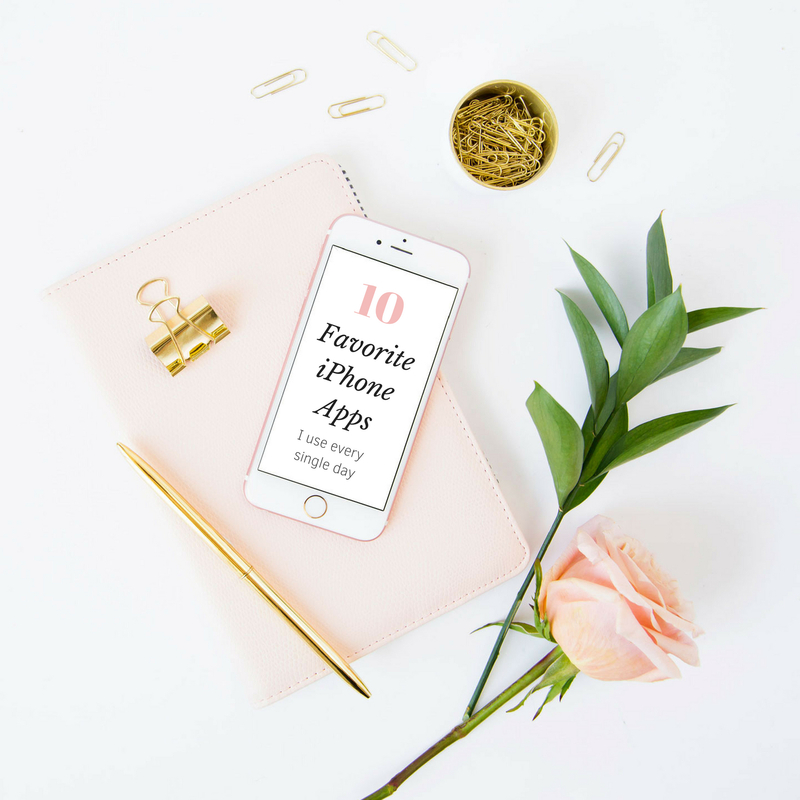 Apps on your iPhone can say a lot about you, so I wanted to share a few of my favorite iPhone apps with you today. This is an app I use on my apple watch at least once a day. It’s amazing how simple taking deep breaths can center your focus and reduce stress. I definitely recommend you try it with or without the app! 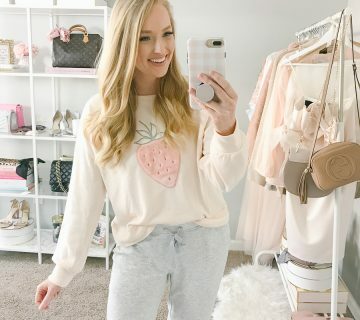 There are a few apps on the market to help you plan your Instagram feed, but this is the one I’ve stuck with! It offers Instagram analytics and is free. I use it to check how a photo will look on my feed before posting it, especially if I’m not sure bout the editing. If you care about having a cohesive Instagram Feed, you need this app! I’ve used Grammerly on my desktop for a while for blog posts and emails, but I recently discovered an iPhone app to help with on the go emails. It will sometimes offer suggestions I don’t agree with, but it’s great for spelling and run on sentences. I’m combining this with the GIF keyboard because a conversation of GIFS with your friends is the best. If you love CFA this app is a game changer! You can order ahead, earn rewards, and it saves your card so checking out is a breeze. It’s also great if you’re picking up lunch for co-workers because they can all order in the app and you don’t have to worry about paying each other back. My husband, coworkers, and friends use Venmo to pay each other for everything. I love not having to worry about getting cash back at the grocery to pay someone. Yes, I use an app for my period. I went off birth control a few months ago for personal reasons (we’re not family planning) and I downloaded this app so I wasn’t surprised every month. But it actually has a lot more value than tracking your period. You can help track and make sense of your symptoms, it can help you plan pregnancy, etc. The more you use it to track, the better the app analyzes your cycle. Waze is my preferred navigation app because I have a lead foot and like to know where the cops are, ha! Even though I know where to get to most places around home, I always use this because in Atlanta traffic is unpredictable. This will re-route me around traffic if needed. This obviously has to be on the list because I use it multiple times a day, but between you and me I think I secretly hate Instagram. It causes a lot of stress and constantly feels like something I have to keep up with because of blogging. I enjoy watching stories more than scrolling my feed. It’s something I constantly have to work on to engage, post, and stay relevant but it apart of blogging I just don’t enjoy as much. You know how some days you just feel blah? I started to feel like I was wasting valuable time just going through my day-to day schedule. I discovered Grateful and wanted to give it a try. It’s has a quick prompt and you can write as much or as little as you want. It’s a helpful reminder to reflect on the positives from your day and you can look back and realize you accomplished more than you thought. I’m not sure why, but I love tracking my sleep and seeing how restful or restless I was. I’ve had a new obsession with tracking my day (what I ate, how I felt, how many hours I slept, Grateful, etc) in my simplified planner. I love looking at how I slept and seeing how productive or blah I felt the next day. I don’t remember to do this every night, but I try to remember most nights. What are some of your favorite iPhone apps? I’ve never heard of some of these apps before!